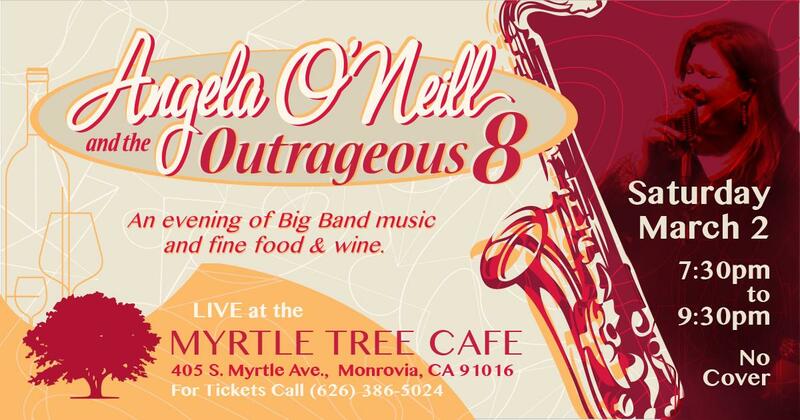 If you’re in Los Angeles this coming Saturday, March 2 and you want to experience a night of big band music, along with fine wine and food, then you’ve got to come to this food and wine event in Monrovia at the Myrtle Tree Cafe to see Angela O’Neill and the Outrageous8, where I’ll be doing a guest performance. Just think ‘how sweet it is’…. 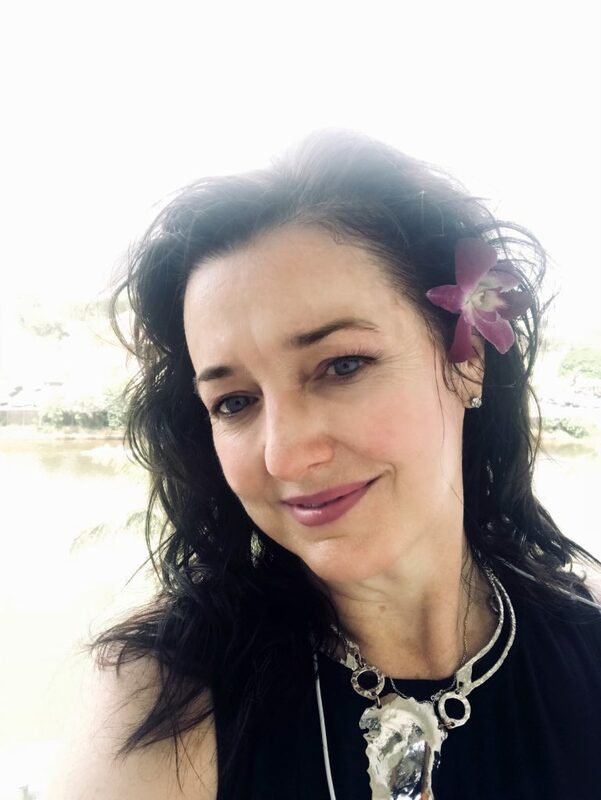 Join us for an evening of Swing and Big Band Jazz with vocalist Angela and her band the Outrgeous8. They will keep you dancing and your toes tapping for 2 sets starting at 7.30pm. The members are all veteran L.A. players with talent galore, led by the singer Angela, who has been written about as “a cross between a jazz diva and a Broadway theater star. Her polished professionalism gives her a unique stage presence and a total command of her domain. Come in early to enjoy delicious meals and beverages from the wine and beer bar. Special guest performances from Kathryn Hopkins, LA based singer from downunder, Judy Barrat, renowned LA poet and A Blonde and Brunette! This is a NO COVER event. Please register here for your FREE ticket and bring with you on the night. I know it’s been a while since I posted but I have been very busy working on a few projects, which I’ll write about soon. Thank you as always for supporting live music. Sending out the good vibes…..